When you start packing your belongings to move to university, you’ll discover that there’s A LOT to take with you. For the average student, it will be pretty difficult to fit clothes alone into just one suitcase. And by the time you’ve packed up all your books, your laptop, any sports equipment, electronics, cosmetics and all the other extras, you’re likely to have a pile of boxes and bags that you need to transport. If you’re studying away from home, this can prove to be quite problematic - bringing more than one suitcase on a flight will be too expensive, and travelling with that amount of stuff in a car, on a bus, or on a train is just too much of a hassle. So how do you transport all of that baggage to University and then home again at the end of term? Well, that’s where we come in. My Baggage are the student shipping experts. We specialise in transporting luggage for tens of thousands of students every single term and we can help you move your excess baggage quickly, safely and cheaply. For those who have a mountain of suitcases, boxes, bags and general excess baggage to send, My Baggage allows up to 30kg of student baggage per item and there is no limit on how many items you can send. With such a generous baggage allowance per order you will be able to pack all your stuff. How Long Does it Take For Your Student Baggage To Be Delivered? 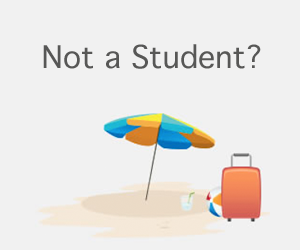 Student baggage sent within the UK Mainland can be delivered either next day or two days depending on which service you choose. For student baggage to Northern Ireland and the Highlands in Scotland, it will only take two days. For international shipments the delivery times are displayed when you get a quote. Plus, you will receive an SMS to remind you on the morning of your collection. All services have full online tracking. Quick and super simple, I'm going to do it again for sure! The best one so far. Found the website, quickly asked some questions on the web chat and had them answered in real time, then I packed my boxes and let them know I'm ready for pickup. The boxes should arrive in 3-5 workdays, and arrived in 3.